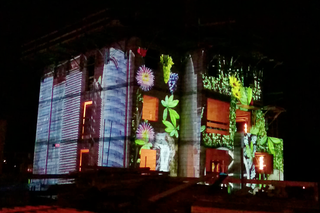 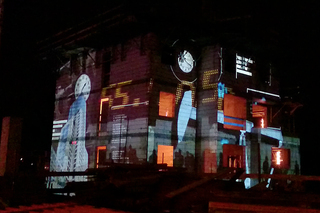 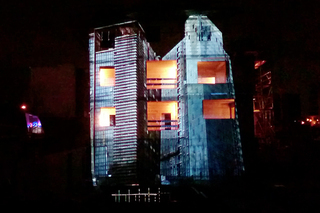 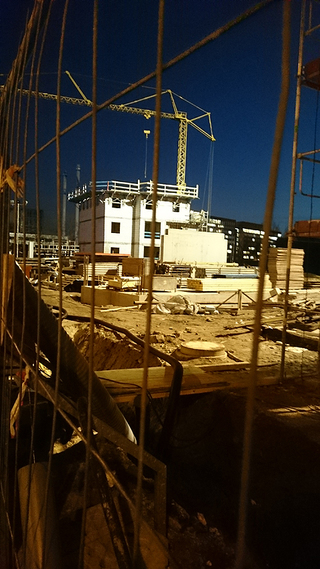 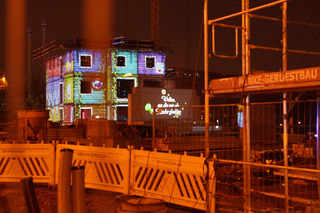 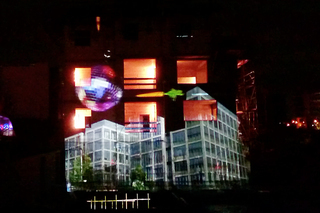 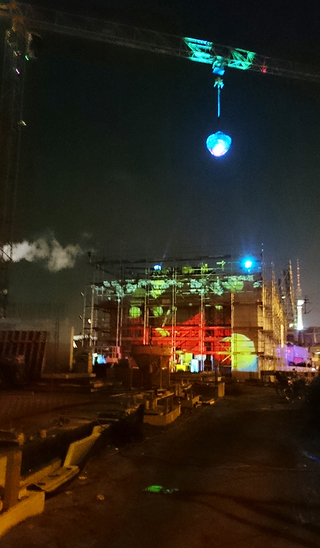 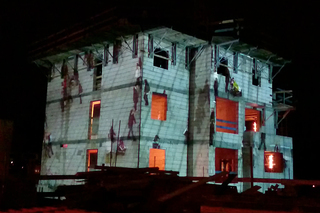 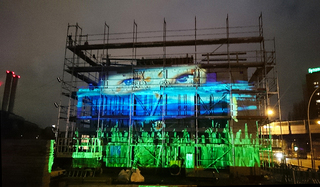 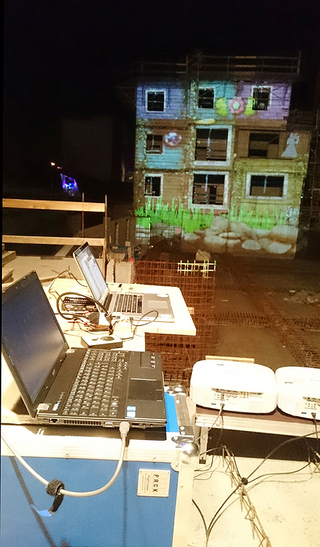 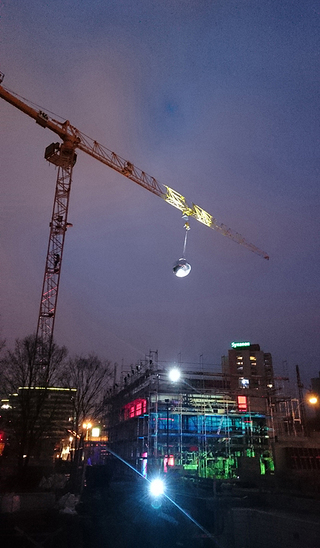 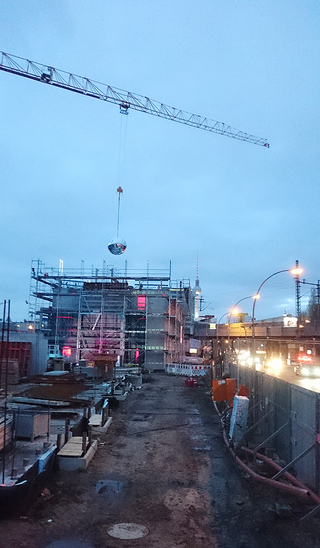 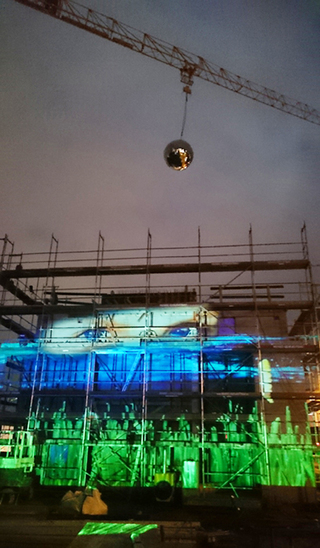 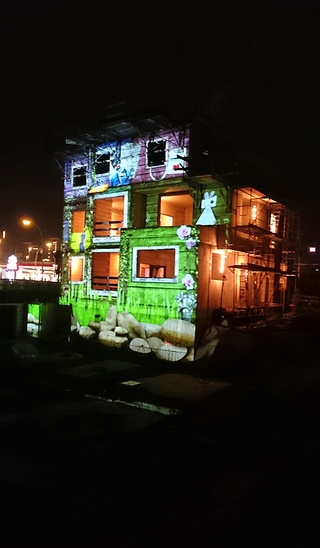 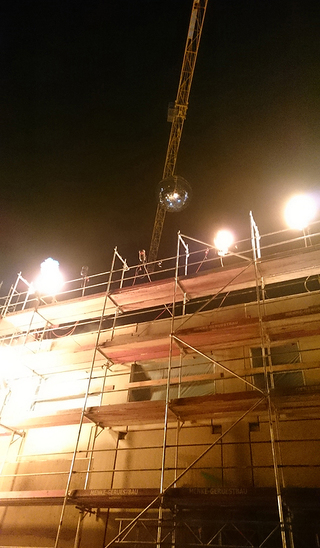 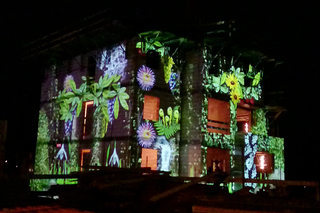 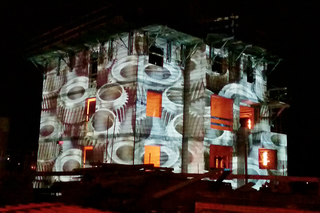 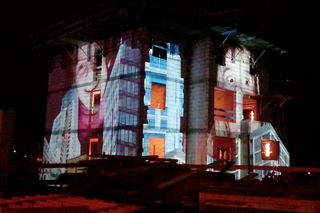 For the Richtefest event I created a two sided videomapping on the building shell of the future Kita/kindergarten building as well as a videoprojection on the future event hall, which was then covered in scaffolding. 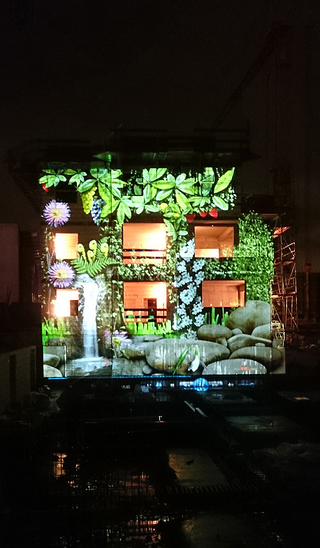 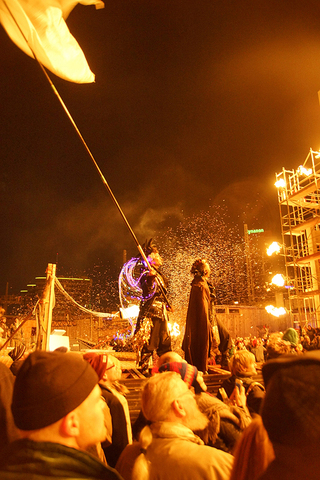 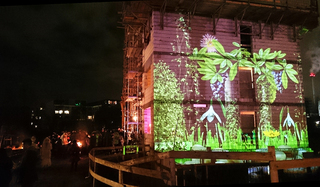 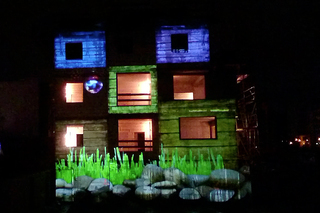 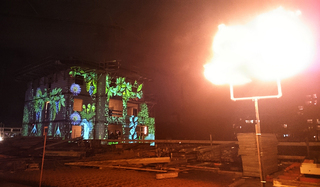 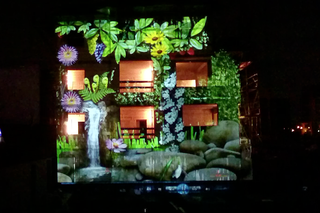 The Kita-Videomapping told a 12 minutes story of elemental energies, paradises emerging and paradise lost to uninspired urban development, which is common around the "media spree" area of Berlin, where the Holzmarkt Project is located. 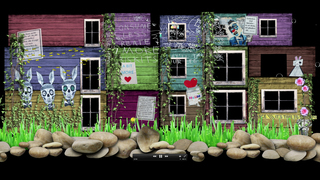 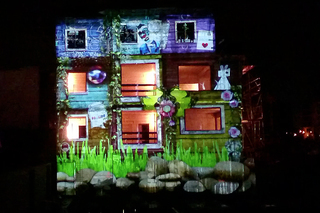 In the end the videoprojection wrapped the concrete building shell in a shaggy, colorful, "villa kunterbunt" style outlook about its future aesthetic and designation as a breeding ground for playful and conscious growth of young and old. 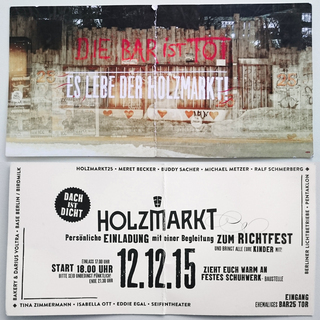 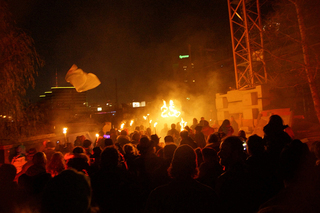 The Holzmarkt Village, initiated by the crew of the former Bar25 and Kater Holzig Clubs is the only large grassroots urban development of Berlin that focusses on creating affordable and free spaces for alternative culture, sustainable industries and social experimentation with in the inner city river banks.